After using Chromecast, I decided to eliminate all the CD’s on my PC that were available from Spotify. 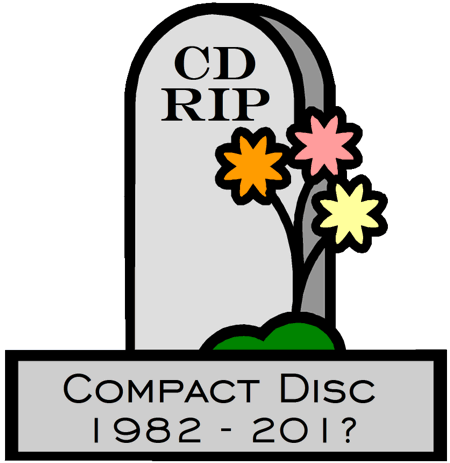 When this was done, the MP3 copies of the CDs dropped by 90%. Remarkable. What I found during this process was that there were a lot of albums (mainly from well known artists) that have been re-issued. Some have been remastered, some have additional tracks and sometimes new cover artwork. It’s also a good way to discover new albums by old bands. 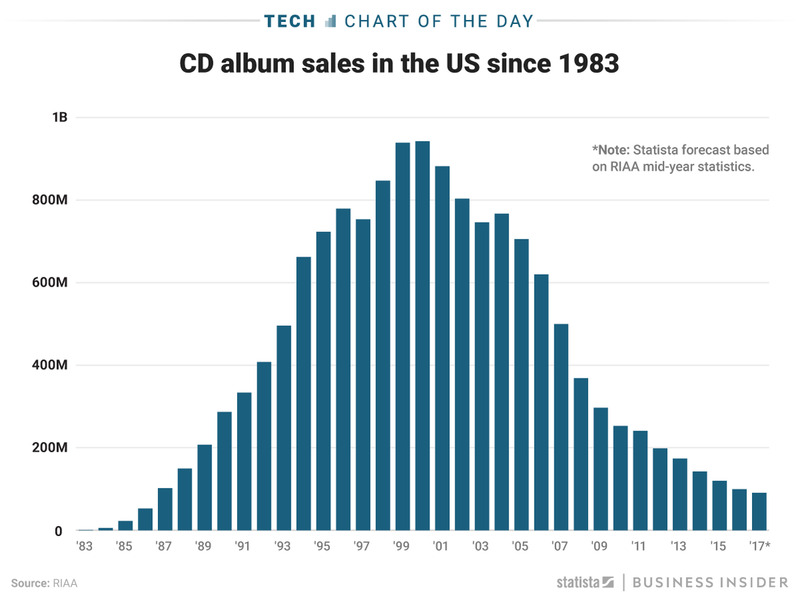 It looks like the CD is dissapearing in favour of online digital distribution, as this graph shows.